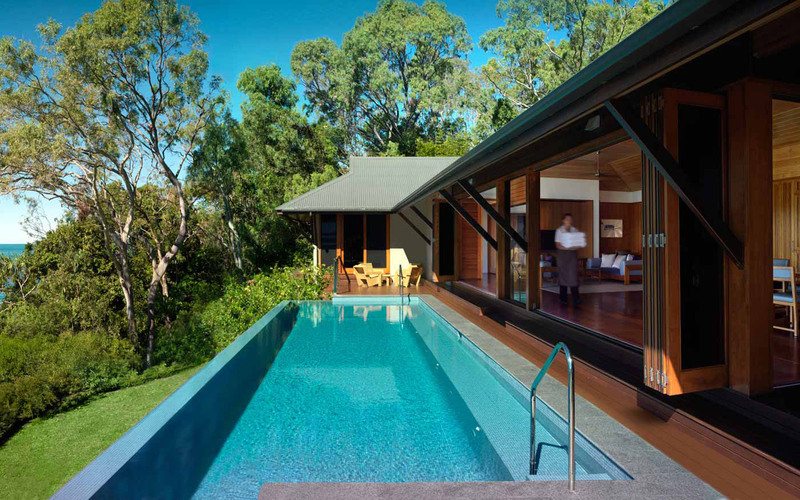 The luxury Qualia Resort Hotel on Hamilton Island — the largest inhabited island of the Whitsunday Islands — in Queensland, Australia is an exquisitely designed resort offering a serene environment and sophisticated accommodation. Surrounded by the Great Barrier Reef, the resort’s harmonious design by Australian architect Chris Beckingham seeks to draw the outside in. There are 60 pavilions and one Beach House handcrafted from the finest imported and local timber and stone, and are set amongst native Eucalypts.